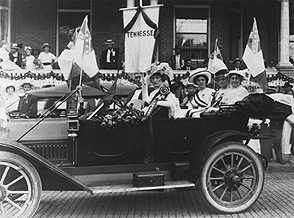 In 1891 Tennessee established the Board of Pension Examiners to determine if Confederate veterans applying for pensions were eligible. Eligibility requirements included an inability to support oneself, honorable separation from the service, and residence in the state for one year prior to application. 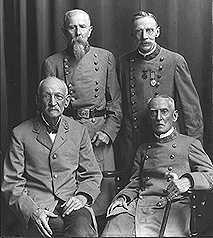 Confederate veterans applied to the pension board of the state in which they resided at the time of application, even if this was not the state from which they served. The application lists the veteran's place of enlistment, unit, period of service, battles participated in, and whether he was wounded or captured, as well as place of birth, number and gender of children, and value of personal and real property. Widow's pensions were first issued in 1905. These applications show place of birth for widow and soldier, and information about their children. Proof of marriage was required, so marriage licenses often appear in the supporting papers. Other items included are correspondence between the applicant and the Pension Board, letters or sworn affidavits attesting to character and military service, and abstracts of the soldier's service record furnished by the War Department. The Board maintained three separate rolls: Soldiers' roll, Widows' roll, and Colored soldiers' roll. The index following is arranged alphabetically by the soldier's name, and includes the county of residence at time of application and the pension file number. Applications for a widow's pension lists the name of the widow; applications for a soldier's pension lists the soldier's unit. All units are regiments unless otherwise designated. If a unit was known by more than one name or number, the official designation is used in the index. If an applicant's unit could no t be ascertained, it is listed as "undetermined". "Unassigned" denotes an applicant who was not in a field unit but was assigned a job necessary to the war effort-- tailor, mechanic, carpenter, smith, etc.